Accumulating evidence supports the wide application of home blood pressure (BP) monitoring in clinical practice. Several studies have established the value of self-home BP measurements in predicting preclinical target organ damage and cardiovascular events, which appears to be superior to that of the conventional office BP measurements and similar to that of 24 h ambulatory monitoring. In both untreated and treated subjects, home BP measurements exhibit considerable agreement with ambulatory monitoring in detecting the white-coat and masked hypertension phenomena. The abovementioned features, together with the wide availability, lower cost, and good patients’ acceptance, render home BP monitoring a valuable decision-making tool for physicians. 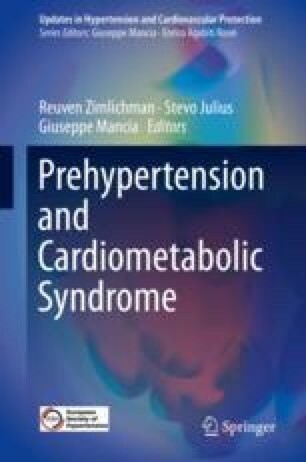 Particularly in untreated or treated individuals with office BP levels close to the diagnostic thresholds (prehypertension, office hypertension stage 1), home BP monitoring is mandatory to identify intermediate phenotypes of hypertension (white-coat and masked hypertension, respectively). Home BP monitoring has also been shown to improve long-term adherence to antihypertensive drug treatment and thereby improved hypertension control rates. These data suggest that home BP should no longer be regarded as only a screening tool that requires confirmation by ambulatory monitoring but have primary role in diagnosis, treatment adjustment, and long-term follow-up of most subjects with elevated BP.